Would you move heaven and earth for the one you love? 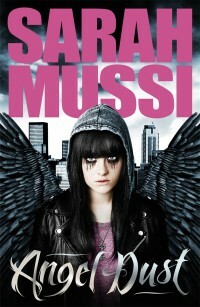 ANGEL DUST is a powerful, gritty and utterly modern tragic love story with a twist. Can Serafina fall in love without falling from grace? Can Marcus’s soul be saved? And just who is the mysterious and ever-so-helpful stranger Harry? This entry was posted by admin on July 16, 2012 at 2:53 pm, and is filed under . Follow any responses to this post through RSS 2.0.Both comments and pings are currently closed.